Historically, December has been a strong month for equities, but will that be the case this year? Here are some statistics to be aware of as we head into the home stretch for 2017. Although the first half of December is usually weak performance-wise, it has historically been the single best performing month for the S&P 500 Index (up +75% of the time with an average return of +1.6%) and the Russell 2000 (based on data back to 1950 and 1979, respectively). Furthermore, it is the second best performing month for major market indices such as the Dow Jones Industrial Average (using data from 1950 - April, 2014), the Nasdaq Composite Index (using data from 1971 - April, 2014), and the Russell 1000 (using data from 1979 - April, 2014). One market theme that presents itself more often than not in the month of December is the outperformance of small-cap stocks relative to large-cap names. One of the most important factors powering the performance of small-cap stocks is economic growth. Studies involving past rates of return have shown that during times of improving economic conditions and rising interest rates, small-cap stocks tend to outperform large-caps. Additionally, many beaten down small stocks being dumped for tax-loss purposes begin to rebound in December and this effect continues to spill over into January as investors are willing to accept more risk in the portfolio. Based on this strong historical seasonal pattern, it may be prudent to add small-cap exposure for the next six months or so. Smaller companies tend to do most of their business within the U.S. and should benefit particularly from the improving U.S. economy. With all the tax-loss harvesting going on this month, mid-December would be an appropriate time to begin buying the sector. 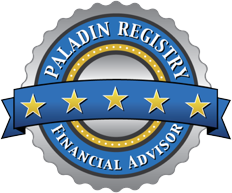 Disclosure: George Kiraly Jr., CFP®, MBA is the Founder & Chief Investment Officer of LodeStar Advisory Group, LLC, an independent Registered Investment Adviser located in Short Hills, New Jersey. George Kiraly, LodeStar Advisory Group, and/or its clients may hold positions in the ETFs, mutual funds and/or any investment asset mentioned above. The opinions offered herein are not personalized recommendations to buy, sell or hold securities. The above commentary does not constitute individual investment advice. The strategies discussed are strictly for illustrative and educational purposes and should not be construed as a recommendation to purchase or sell, or an offer to sell or a solicitation of an offer to buy any security. This material represents an assessment of the market environment at a specific time and is not intended to be a forecast of future events or a guarantee of future results. This information should not be relied upon by the reader as research or investment advice regarding the funds or any security in particular.